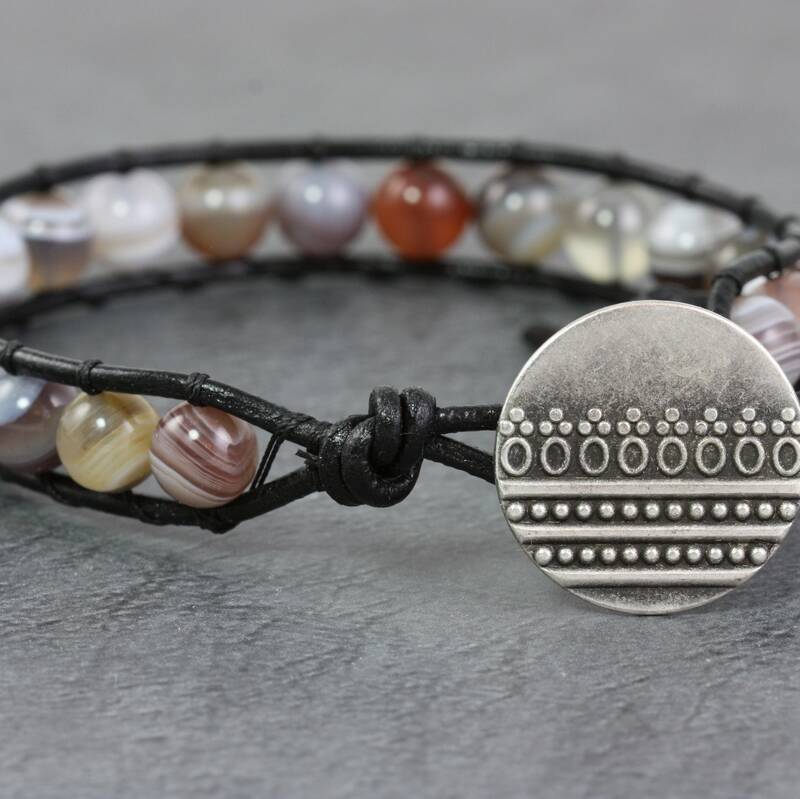 Botswana agate gemstone and leather bracelet made with multicolor 8mm round beads. Made with rugged looking black leather cord. Hand strung using black nylon thread. Finished with a silver metal button decorated with lines and dots. This bracelet has two loop closures for an adjustable fit.